I'm pretty sure I haven't mentioned this anywhere online yet, but I'm newly vegetarian. There was no big revelation (though I did watch Cowspiracy recently) but I just realised that I didn't want to eat meat any more. One of the main reasons behind my decision was that I have become more and more conscious of where my food comes. But that's for another post. This post is about my final farewell to meat. My last hurrah. 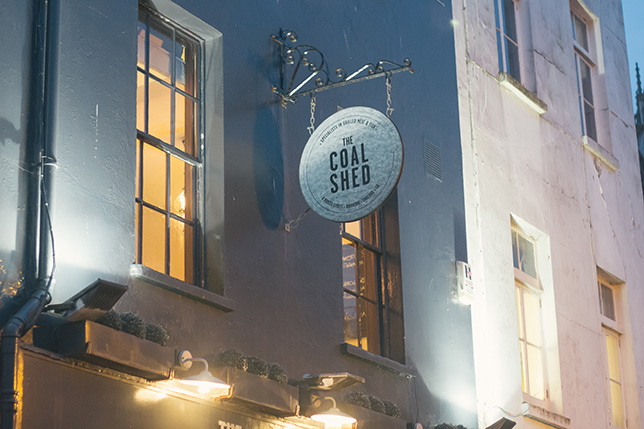 And what better place to bid adieu than at The Coal Shed in Brighton, famous for its delicious steaks. 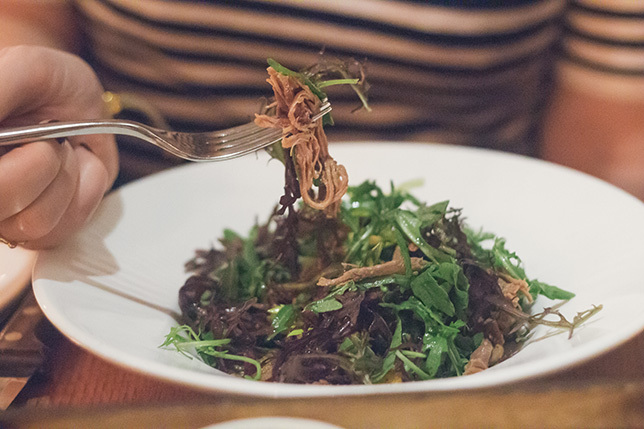 We sat down to try out their set menu and boy was it good. We started with some lovely bread, olives and more importantly - wine. 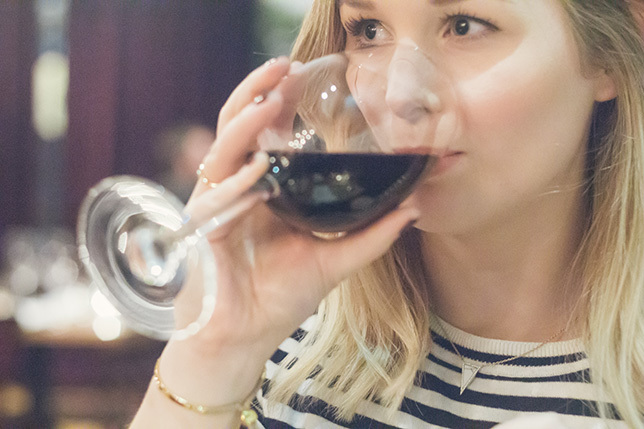 The atmosphere at The Coal Shed is effortlessly relaxing, the interior is similar to a French bistro and it feels fancy without feeling awkward. As I said, we were there to sample the set menu which is available at lunch or for early dinner in the weekdays. Even with three choices for each course we found it hard to pick which ones we wanted, they all sounded amazing. 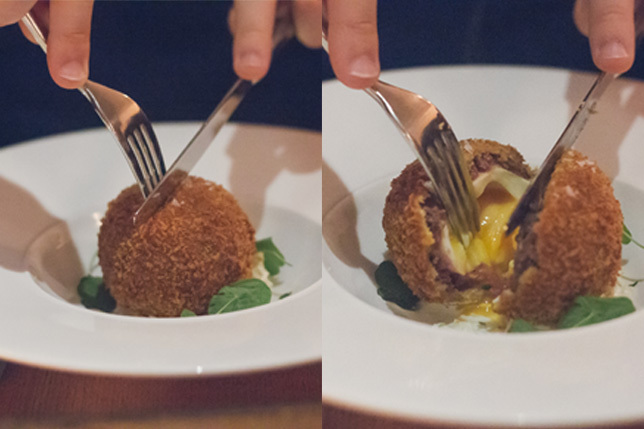 My boyfriend went for a veal scotch egg which was very impressive (as you can tell from the picture) and I plumped for a salt beef salad which was tasty and light. The choice of main was easy, it had to be steak. The steak on the set menu is a minute steak which is served pink with either salad or chips (obviously went for chips). 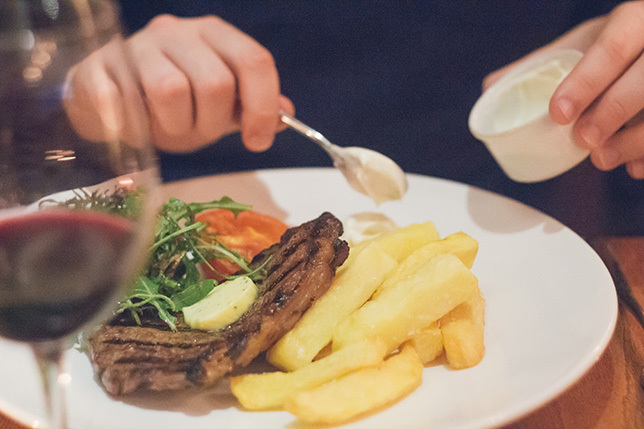 The portions are very generous and the steak and chips were cooked to perfection. Even though we were both stuffed after the two courses, there was of course a third course to be had! Enter, the prettiest dessert I've ever seen. 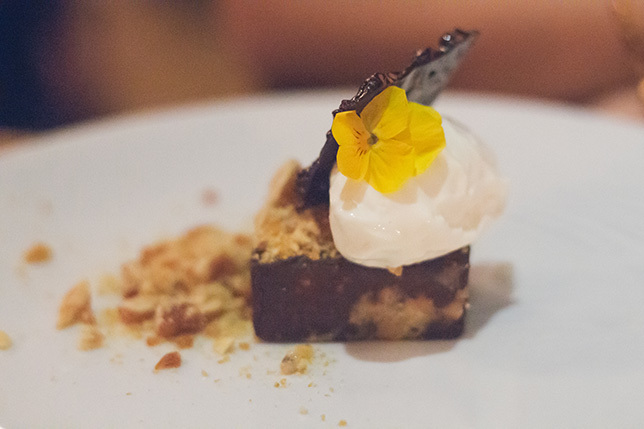 It was a chocolate-lover's dream and all topped off with a flower. What more could you ask for? So guess how much this all came to? £17.50 per person! For one of the best restaurants in Brighton, I think this is a great bargain. If you're visiting you should certainly pop in for lunch, it's a great way to experience the restaurant!